Senior Lecturer in music didactics at the Norwegian Academy of Music, Oslo, Brit Ågot Brøske, is strongly engaged in a music project for refugee children in Lebanon. Her research focuses on multicultural music education, community music activities, teacher training, and music students’ experiences from challenging and unfamiliar professional placement situations. Jon Helge Sætre, Associate Professor in music education (PhD), is currently Director of the Centre of Excellence in Music Performance Education (CEMPE), at the Norwegian Academy of Music, Oslo. Sætre has taught music on all levels and, as a pianist, has performed and recorded contemporary chamber music with renowned ensembles like Oslo Sinfonietta and Affinis Ensemble. This article presents results from a case study exploring forms of professional work placement in specialist higher music education. 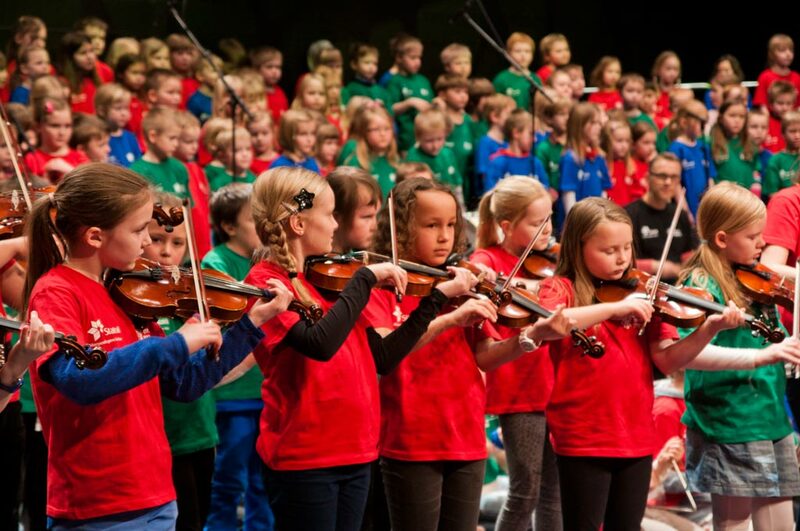 The case study is carried out at the Norwegian Academy of Music (NMH) and is one of several research and development projects located within NMH’s Centre of Excellence in Music Performance Education (CEMPE). A main aim of CEMPE is to develop knowledge about learning and teaching in music performance education contexts, in order to contribute to enhancing the quality of their educational programmes. The present case study is part of the research project Together for better learning, a collaborative project involving several Bergen University Faculties and CEMPE. The Hammerfest project is one of several elective projects within a compulsory course in the Master’s programme. These projects give students an opportunity to plan and carry out demanding interdisciplinary, collaborative projects, according to the Master’s programme curriculum. The main aim is to stimulate reflection around the role and function of music and musicians in society. The project takes place in Hammerfest during one intensive week in February. Hammerfest is one of the northernmost cities in the world, and the project is a collaboration between the Norwegian Academy of Music, several partners in Hammerfest municipality and the multinational Oil and Gas Company Statoil. During one week more than 300 children, 100 adults and 15 Master’s degree students perform and collaborate in making music. The project is driven by five interconnected principles. 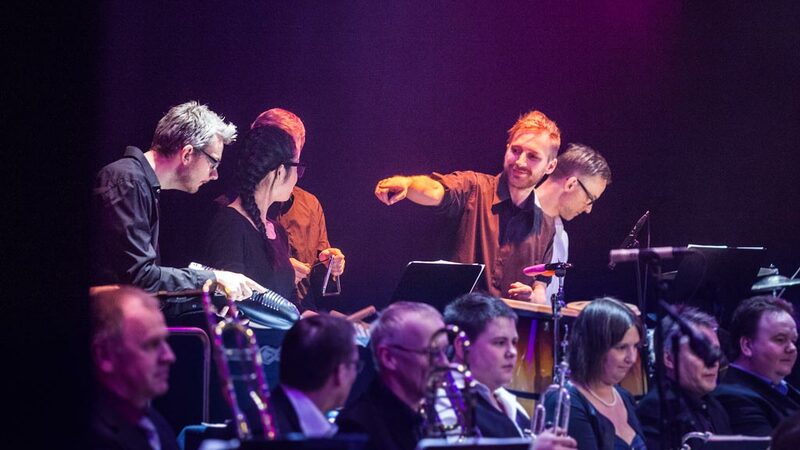 First, a high degree of collaboration pervades the whole project, both among the students and with amateur musicians, children and disabled people across different disciplines. Second, the project includes artistic presentations in traditional venues such as churches or concert halls, where the students assume full responsibility for curating the events. The third element is artistic presentations in less traditional arenas for performance, such as private homes or workplaces, where the students are challenged by the intimacy between audience and performers. Fourth, conscious contemplation of the relationships between performers and audiences is encouraged: students are hosted in private homes when they are in Hammerfest, and dialogues between musicians and audiences take place in the performance venues. And finally, the fifth element is a high degree of reflection through dialogues with and among the students, to make sense of and evaluate their experiences. The Professional orchestra placement programme is an elective course at the Master’s level, to which students are admitted by audition. Over a period of two years, students participate as orchestra musicians in professional orchestras during 12 week-long rehearsal and concert projects. The students are paid, and they receive 18 ECTS on completing the placement programme. Each student is appointed a supervisor from the orchestra, normally one of the orchestral musicians. Two professional orchestras are involved in the programme. The programme is described on the NMH webpages, but the description does not include information about aims, objectives or content. Musicians of the future? (Photo: Zbigniew Ziggi Wantuch). There seems to be increased scholarly debate about development in higher music education (HME) institutions. A central point of this debate is highlighted by the framing of the current issue of Music & Practice: What are the characteristics of musician of the future, and are current educational practices helping students develop these characteristics? 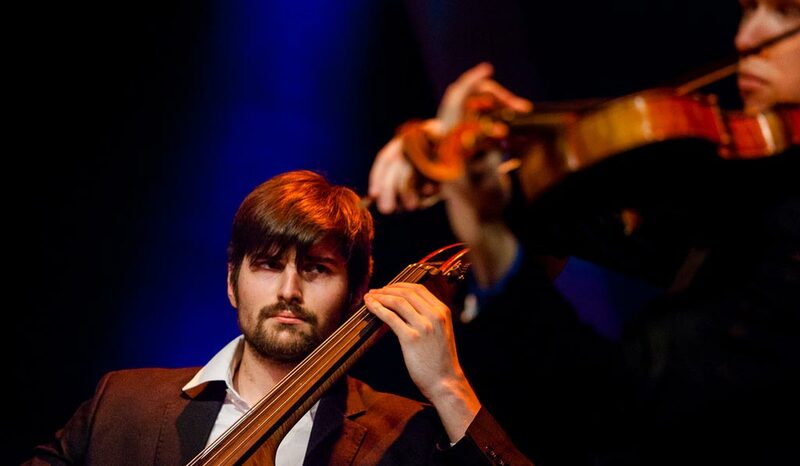 Some research studies advance the view that the labour market for musicians is changing.1) Esther Bishop and Martin Tröndle, ‘Tertiary Music Performance Education: An Artistic Education for Life or an out-Dated Concept of Musicianship?’, Music & Practice 3 (2017), https://www.musicandpractice.org; Rineke Smilde, Musicians as Lifelong Learners: 32 Biographies (Delft: Eburon Academic, 2009). According to these studies, the future musician, as well as the majority of today’s music graduates, will have to combine a range of work positions and settings. They will become what is described as the portfolio or protean musician,2) Dawn Elizabeth Bennett, Understanding the Classical Music Profession the Past, the Present and Strategies for the Future (Farnham: Ashgate, 2008). with only a few having the traditional role of orchestral musician. Bishop and Tröndle claim that specialist HME has had trouble adjusting to these changes.3)Bishop and Tröndle, ‘Tertiary Music Performance Education’. Yet several ongoing initiatives are focusing on innovation within HME, including ICON (The Innovative Conservatoire), NAIP (New Audiences and Innovative Practices)4)Rineke Smilde and Sigurdor Halldórsson, ‘‘New Audiences and Innovative Practice’: An International Master’s Programme with Critical Reflection and Mentoring at the Heart of an Artistic Laboratory’, in Collaborative Learning in Higher Music Education, ed. by Helena Gaunt and Heidi Westerlund (Farnham: Ashgate, 2013). and CEMPE. And a number of research studies explore both traditional and new forms of aspects of musical learning such as one-to-one tuition, group tuition, peer learning, self-reflective practice, mentoring, and assessment and digital technology.5)See Helena Gaunt, ‘One-to-One Tuition in a Conservatoire: The Perceptions of Instrumental and Vocal Students’, Psychology of Music 38 (2010), pp. 178–208; Bjørg J. Bjøntegaard, ‘A Combination of One-to-One Teaching and Small Group Teaching in Music Education in Norway: A Good Model for Teaching?’, British Journal of Music Education 32 (2015), pp. 23–36; Ingrid Maria Hanken, ‘Peer Learning in Specialist Higher Music Education’, Arts and Humanities in Higher Education 15 (2016), pp. 364–75; Morten Carlsen, ‘De- and Relearning the Violin: A Short Reflection’, Arts and Humanities in Higher Education 15 (2016); Helena Gaunt, Andrea Creech, Marion Long and Susan Hallam, ‘Supporting Conservatoire Students Towards Professional Integration: One-to-One Tuition and the Potentional of Mentoring’, Music Education Research 14 (2012), pp. 25–43; Julius Pranevicius, ‘Rich Feedback and Assessment Environment in a Horn Studio: Practising Scales’, Arts and Humanities in Higher Education 15 (2016), www.artsandhumanities.org/journal/rich-feedback-and-assessment-environment-in-a-horn-studio-practising-scales/. These contributions discuss and challenge the relevance of current HME practices, and they stimulate a scholarly debate that aims to understand and employ different approaches to learning and teaching in HME. The benefits of work placement are quite thoroughly described by research studies in a number of higher education settings, such as teacher education.6)Donald J. Boyd, Pamela Grossman, Hamilton Lankford, Susanna Loeb and James Wyckoff, ‘Teacher Preparation and Student Achievement’, Education Evaluation and Policy Analysis 31 (2009), pp. 416–40; Suzanne M Wilson, Robert E. Floden and Joan Ferrini-Mundy, ‘Teacher Preparation Research: An Insider’s View from the Outside’, Journal of Teacher Education 53 (2002), pp. 190–204. Work placement is thought to link on-campus activity to professional practice, and thereby to increase the relevance of the educational programmes. Systematic use of work placement is probably less frequent in specialist HME,7)Harald Jørgensen, Research into Higher Music Education. An Overview from a Quality Improvement Perspective (Oslo: Novus Press, 2009). but music students may still be deeply involved in off-campus professional or semi-professional practice. Students enter HME as aspiring musicians; they may already be involved in a number of self-initiated projects and may even have experience from the professional field of music. An institutional survey carried out at NMH shows that specialist music students spend considerable time in various off-campus professional settings, and they spend time developing their own artistic projects. Furthermore, the survey indicates that students find these activities highly relevant for future work,8)See also Magnus Dahlberg, ‘Learning across Contexts: Music Performance Students’ Construction of Learning Trajectories’ (PhD diss., Norwegian Academy of Music, 2013). and that more than half of the students would welcome an increase of professional practice and work placement as parts of their study programmes. Still, there are few studies investigating what students actually learn in and from such activities. The present study contributes to this debate by investigating the potential of work placement and professional practice as part of specialist HME. The aim is to explore what students learn in and from two different placement settings, both of which are parts of the Master’s programme at NMH. Among the questions addressed here, the most important is that of what, precisely, students learn in and from these contexts of practice. We examine the ways learning takes place in the two selected cases and the factors influencing and contributing to students’ learning. Further, the article includes discussion about the differences between on-campus and off-campus learning and possible deficits in current educational practices. Figure 1 Students and teachers collaborating in the Hammerfest project. (Photo: Eybjørn Paulsen). Students and teachers collaborating in the Hammerfest project. (Photo: Eybjørn Paulsen). To explore what students learn in different placement settings, the project was designed as a case study.9)Robert K. Yin, Case Study Research. 4th edn (London: SAGE, 2009). The overall case context is the Master’s programme in music performance at the Norwegian Academy of Music, and the study is therefore best understood as a single case study. Within this programme, two units of analysis are selected. These particular units are selected because of their many differences. The rationale for emphasizing difference as the criterion of selection is to make room for contrastive and comparative perspectives on students’ perceptions of learning in work placement contexts. The two units are the Hammerfest project and the Professional orchestra placement programme (see text box for details). Since the aim of this study is to explore the students’ perceptions of learning in the two placement settings, the focus group interview was selected as the method of collecting empirical data. Focus group interviews are well suited for creating an exploratory dialogue, and for making room for both agreement and disagreement on the selected topics.10)Victoria Wibeck, Fokusgrupper: Om Fokuserade Gruppintervjuer Som Undersökningsmetod (Lund: Studentlitteratur, 2010). The group setting also makes room for an effective, descriptive conversation, since the interviewees have the opportunity to correct, adjust, supplement and add perspectives to the joint conversation.11)David L. Morgan, Focus Groups as Qualitative Research. 2 edn (Thousand Oaks: Sage Publications, 1997). Five students were selected from the Hammerfest project (four females and one male), and four from the professional orchestra placement programme (two females and two males). All students had taken part in these activities recently. The Orchestra group members were selected in such a way as to represent more than one orchestra and more than one type of instrument. The students are called Student A, B, C and D in the transcripts. Both focus group interviews were conducted by the same researcher, and the other took the role as an observer. The interview guide consisted of four main themes: description, ways of learning, responsibility and outcomes. When the main interviewer was about to end the interview, the observer was asked whether he had additional questions. This strategy turned out to have some benefits, since the observer could add questions based on his interpretation of the entire interview dialogue. The interviews were transcribed in the original language (Norwegian), and the transcripts were subjected to coding and collaborative interpretation by the two researchers. The first level of coding followed the main themes of the interview guide (description, learning, responsibility and outcome), and the data was further analysed to reveal the variety of perceptions of value, relevance and ways of learning. The present study takes a socio-cultural view of learning, emphasizing the relational, social and cultural features of learning and learning situations, and the importance of understanding the relationships between learning and tools.12)See Lev S. Vygotsky, Mind and Society. The Development of Higher Psychological Processes (Cambridge, Mass. Harvard University Press, 1978). From this theoretical point of view, the Hammerfest project and the orchestra programme should be different in many ways. They take place in different cultural arenas (orchestras, schools, family homes, etc. ), they involve collaboration between students and different groups of people (musicians, conductors, fellow students, pupils, teachers, audiences), and they include different tools in the Vygotskian sense (e.g. language and psychological and physical artefacts). Social relations are also at the core of the concept of collaborative learning. Gaunt & Westerlund see collaborative learning as the most powerful way to deal with today’s challenges in HME, such as the imperative for networking, innovation, negotiating cultural differences, developing professional flexibility, and to be able to meet new situations and social contexts imaginatively and with empathy. According to them, this goes ‘hand in hand with the increasingly accepted understanding of learning as social endeavour, and of teachers being facilitators and co-learners rather than doorkeepers of learning’.13)Helena Gaunt and Heidi Westerlund, eds, Collaborative Learning in Higher Music Education (Farnham: Ashgate, 2013), p. 1. The interplay between the roles of social relations and cultural tools in learning is a central premise for the concept of the proximal development zone, which denotes the distance between what a learner is capable of achieving on his or her own, and what the learner is capable of achieving with help from others.14)Vygotsky, Mind and Society. According to Wittek, in a learning relationship, the more experienced person contributes with ways of conceptualizing the learner’s understanding and provides cultural artefacts which the learner uses to create learning experiences and develop his or her constructions of knowledge.15)Line Wittek, ‘Sosiokulturelle Tilnærminger Til Læring’, in Pedagogikk: En Grunnbok, ed. by Janick Heldal Stray and Line Wittek (Oslo: Cappelen Damm Akademisk, 2014), pp. 133–48. In this sense, it is of interest to study whether and how social relations are apparent in students’ stories about learning experiences. Social relations may take the form of informal social interaction or formal arenas for supervision and reflecting in and on practice, which Schön identifies as an important part of developing professional knowledge.16)Donald Schön, The Reflective Practitioner: How Professionals Think in Action (New York: Basic Books, 1984). Several research studies on higher education advocate bridging the gap between on- and off-campus learning by emphasizing pedagogies of enactment in higher education and allowing students to practise a set of core practices.17)Pamela Grossman, Karen Hammerness and Morva McDonald, ‘Redefining Teaching, Re-Imaging Teacher Education’, Teachers and Teaching: Theory and Practice 15 (2009), pp. 273–89. A central point is that on-campus practising of professional core practices (approximations of practice) can be carried out in low-risk settings, where students are allowed to experiment and falter.18)Pamela Grossman, Christa Compton, Danielle Igra, Matthew Ronfeldt, Emily Shahan and Peter Williamson, ‘Teaching Practice: A Cross-Professional Perspective’, Teachers College Record 111 (2009), pp. 2055–2100. In comparison, real-life professional practice is a more complex high-risk learning setting. Further, the concept of core practices identifies two major questions for HME. First, what can be defined as core practices for higher education music graduates? And second, is practising these core practices the best way of developing professional competence? From the viewpoint of socio-cultural theories of learning, meeting different contexts of practice (activity systems) may have the potential of providing learning ‘new forms of activity which are not yet there’, in the words of Yrjö Engeström.19)Yrjö Engeström, ‘Expansive Learning at Work: Toward an Activity Theoretical Reconceptualization’, Journal of Education and Work 14 (2001), pp. 133–56. The contexts of professional practice selected in the present study can still both be defined as core practices for musicians, the Hammerfest project representing the portfolio musician20)Bennett, Understanding the Classical Music Profession. and the orchestra programme representing the professional orchestral musician. It is of interest to find out how students perceive the value and relevance of these different practices, and to examine in some detail what students actually learn from them. This may give some hints about the potential of these forms of practice for the development of future musicians, as well as the differences between on-campus and off-campus learning in HME. We were told that it would get intense and that we should be ready for whatever turned up. We should also be prepared to play a lot of different pieces; that we could be challenged to jump headlong into it, and that happened as well. The next time you find yourself in such a situation – then – from here, everything can happen. I am ready. I am open. Always open, always ready. So maybe that is what is the most important. Another important component of the Hammerfest project seems to be the limited time for planning and rehearsal, which is seen as both a high-risk feature and a fruitful experience. What I have learned for later is that, although I normally plan and rehearse for a concert long time in advance, it is also possible to prepare a concert in half an hour. It’s not dangerous, it’s fine, and it will be good! That is something I will remember. It feels like we got a new perspective on concerts when we were there. Or, we knew that there were so many concerts and too little time to prepare, so you didn’t even have the time to get nervous. And then you could care for the moment on stage. It might be the same pressure there as here, but there we could better see the things that went on around us. I think we limit ourselves on campus. You have your field of expertise, and think that we should not move outside it. You are in a bubble at the Academy. You stay in the rehearsal room five hours a day, and everything is about your sound, … but there is so much more to it than just the playing. The Hammerfest project seems therefore to represent a rather special practice context, since it represents the complex, high-risk features of professional practice while at the same time presenting this complexity in a low-risk setting.21)Grossman et al, ‘Teaching Practice’. Apparently, the students also need to enter practice in order to understand that musicianship is more than ‘just the playing’. The high degree of collaboration seems to be an important feature of the low-risk setting. Collaborating with fellow students pervades the week in Hammerfest. In particular, it seems to have led to positive social relations between the students. Something really positive this year, was the unbeatable mood among the students, which made everything easy. I think of the project with the young kids. We just got two days, no plan or instructions, but 12 or 10 persons just have to create something together. I have never done that before. We started from nothing – what shall we do? It turned out well in the end. They may have tried to show us that you have something in you, trust that, try to challenge yourself, explore it. The fact that we didn’t have any frames scared everybody. But then creativity kicks in and you get to know yourself. So, through this project, I think everyone tasted a bit of that. Student B: I tried not to be visible at all, because in my first week the programme was so crazy that I was just terrified [several students laugh]. So I tried just to enter and sit down and play the as softly as I could. Students A and B add that is was really not much different than being a regular freelance substitute, and even that many orchestra members probably think that’s what they are. Student B talks about the difference between the solo and tutti position, and seems to be more confident with the tutti position. Student A: But – that is different from person to person, how we see that issue. Student A: I like to have responsibility. Researcher: You would like to have more? Student A: Eh. Yes, personally, I have worked as solo many places, and I think that is perfect. … It would have been great to try that once, to actually have responsibility [in the placement orchestra]. But then they have to trust me [laughs]. In sum, both forms of practice are perceived as high-risk contexts, the first because of its unfamiliar, non-typical features and the second because of its high professional level. Both are valued highly, but Hammerfest seems to stimulate an open discourse on the possibilities of musical activities, while the Orchestra programme seems to stimulate a focussed, traditional musical discourse. The Hammerfest context is manageable because the positive social relations between the students create the necessary low-risk atmosphere. Moreover, they learn and experience that it is okay if they don’t always perform (or solve the tasks) at their best, and if they try new things. They are allowed to experiment, in other words, to explore and falter. In the orchestra placement, the tasks are all familiar, but firmly placed in a high-risk context. The fact that there is little room for failure seems to be one of the reasons why the practice context is seen as such a valuable learning arena for these dedicated future orchestral musicians. Both groups of students seem to find supervision and feedback (from teachers, peers or experienced musicians) an important factor stimulating learning in practice, in addition to the very experience of practice itself. I find it difficult to present ideas in the regular classes, when I don’t know who is listening. So, it felt more comfortable to talk and think, knowing who the others were. Maybe the fact that we reflected on something that we, ourselves, were a part of, was important. Meaning that we were actively participating in something, and then talking about it afterwards, and it felt important to talk about it, since we were going to do the same thing the next day. The daily meetings of reflecting together and listening to what the others had to say contributed to making reflection a part of my own work. We discussed the meaning of what we were doing, and we carried it with us during the day, keeping in mind what to bring to the meetings. I really believe that being in a dialogue with others speeds up your own development. In a dialogue, you receive, it is like talking to yourself, only much, much faster, you get input like this [snaps], like we do now. I get a bunch of different views at the same time, as a supplement to my own thoughts – which doesn’t happen very often. This student mentions another, quite similar project, where she very much needed to reflect with others, without any allocated time to do so: ‘I didn’t have anyone to reflect with there. If we would have sat down like here, reflecting everyday – that is true. It’s brilliant!’ This is underscored by another student, who relates the high degree of interest in reflection to the fact that the project was unfamiliar and challenging: ‘When we have an orchestra project and play together for a week, it’s only that – we’ve always done it. We don’t need to reflect as much, since we’ve played in orchestras and been used to that since childhood’. Another student agrees: ‘I think I am just not used to reflecting. It is just a habit. But here, everything is so unusual, that you more or less have to reflect, or else you become crazy, and you will not understand what is going on’. The orchestra students find supervision and feedback important, but they describe a context in which this happens both in less formal ways and less frequently. They have different experiences with how formal supervision is handled by the orchestras. Student C reported not knowing that he was entitled a supervisor or contact person, and Student D is happy not having one. Student A has had fruitful one-to-one lessons with an orchestra musician – quite traditional lessons focussing on repertoire. The students agree that there is a need for better communication between NMH and the orchestras on the matter of supervision. Student A: The best part is when the one who sits next to me offers constructive feedback. This has taught me so much, for instance how incredibly loud you can play when you’re playing second on your instrument … You don’t get that [kind of feedback] as a freelancer. The degree of feedback the students receive varies. Some orchestra musicians provide a lot of feedback, ‘while others don’t say a thing’. The students identify constructive feedback from experienced fellow musicians (mainly individual feedback from the person ‘next to me’) as a highly valuable way of learning in orchestra practice. Again, social relations play an important role, this time very much in line with the Vygotskian concept of the zone of proximal development.22)Vygotsky, Mind and Society. Now I have realized that a concert is about the music and playing together. I got to play in the big band with the locals here in Hammerfest. It was all about getting a grip of the music and make a good show. The Hammerfest students start to question the reasons for becoming a musician, and what kind of musicians they would like to become. The project ‘made me start thinking’ about the future. A student questions whether ‘how I look, how I sound’ is all there is to it. ‘Should I just keep doing that for the rest of my life? … If I start teaching, what will my role be?’ and she adds: ‘Shouldn’t we expand the expectations?’ The students may not want to continue doing all of the activities they did in Hammerfest, but they find the experiences coming from the project important for their development as future musicians. All the Orchestra students also find the programme highly valuable. Student A says ‘I am big-time satisfied’, and Student D says that the programme is the very reason he applied for the Master’s programme in the first place. It is the single most important thing for him, he says, because it is about what he wants. There are several reasons the students value the placement programme. One is as a pathway into a professional, high-level orchestra. ‘It is a way in’, the students say. A second, related issue is networking. The students find this highly valuable: ‘You get the chance to talk to people. And boom, you are in. In a way, that is what the Master’s programme is about’. Third, the students are grateful for the work experience the placement programme gives them, to be given the chance to play in a real orchestra for two years. And they state the importance of working in the same orchestra with the same people during an extended period of time. This gives them the chance to get to know the orchestra culture, to understand what kind of musicians the orchestra is looking for, and to pick up some hints about what to focus on in auditions. According to the students, things are more difficult to understand as a freelancer, as freelance work means shorter contracts in a number of orchestras. When asked about whether the placement programme has changed their view of their professional role, Student B says that it has. Her goal is no longer to become the solo player on her instrument (in the orchestra). She has realized that she rather would play second. She likes to follow, to blend in, she says, and is happy to avoid the stressful solo position. Her colleague, Student A, maintains that her goal is still to become the solo player. In the last part of the interview, the students start discussing another course in the Master’s programme, in which students develop their own projects in creative ways. Student B is critical, or even ironic, and describe the idea as «these creative projects that preferably should be with cool lighting, smoke on stage or at places with no people, and the best is perhaps if you don’t play a single note’. These students seem to be devoted to the idea of becoming orchestral musicians, and talks about this as Plan A. The Master’s Programme, however, seems to «start with Plan B from the very beginning’, according to Student D. That is, to prepare students for a job situation outside the orchestra. In sum, the two contexts of learning could be seen as core practices,23)Grossman et al, ‘Redefining Teaching’, pp. 273–89. due to their resemblance of real life musicianship. The Hammerfest week seems to have raised a range of questions: about the role and tasks of the students as future musicians, about musicians’ identities, about music itself, about working as a portfolio musician, and about ‘expanding the frames’. In this sense, the Hammerfest project is probably more capable of developing the kind of innovation, professional flexibility and understanding of cultural differences and social contexts that Gaunt and Westerlund identify as the way forward for HME.24)Gaunt and Westerlund, Collaborative Learning in Higher Music Education. And it may have the potential of providing ‘new forms of activity which are not yet there’.25)Engeström, ‘Expansive Learning at Work’, p. 138. In comparison, the orchestra students highlight the importance of getting a chance to understand the orchestra culture, and of networking, getting an entrance into the orchestra, a ‘way in’. The students perceive their participation as a dream come true and as experience with real life. These statements hint at the strengths, or powers, of the social mechanisms at play in these rather different social contexts, the local, cultural municipality and the professional orchestra, which seem to affect both the learning outcomes and the ways of learning. Figure 2 Understanding the orchestra culture. (Photo: Zbigniew Ziggi Wantuch). Both groups of students compare the experiences from practice with ‘normal’ on-campus learning. As we have seen, the Hammerfest students see the project as different because of the emphasis on collaboration, reflection on action, the wide range of professional tasks, and the way in which they are taken out of their comfort zones. Student B: Well, [in the professional orchestra] it is not just about a conductor standing there repeating the same section for 15 minutes because people haven’t prepared, or because people don’t know how to listen, or don’t know how to count. In a professional orchestra, everyone knows what to do. And I, as a student, who is also well-prepared, will, I think, learn more from knowing how to act and behave in the orchestra. Or how to better connect [musically] with other instruments. Or when to listen to the second oboe player. And how to hear the second oboist at all, way over there. Those things. There is no focus on such things in the orchestra at the Academy. Student B: You are in a way not so focussed on just practising, practising, practising. You are more focussed on how to be in the orchestra, in a way. How the attitude is supposed to be, how to work as effectively as possible. Student A: Like listening, for example. Where to listen? Who to watch? Not many know that on the bachelor level [laughs]. Student D: Nobody tells you have to do those things. Student B: Nobody tells you how to do those things. It isn’t until I have worked professionally that my attention has been drawn to this. Researcher: Can you give any examples of such things? Student A: Yes, for example that no one has ever said ‘now you should look at the double basses, they have the rhythm there’. Or if you are playing unison with the violins: ‘don’t look at the conductor, look at the concert master’. And things like that, which no one tells you. The students describe how they learn ways of listening, ways of watching and of acting in the orchestra. They even talk about ‘learning how to be in the orchestra’. These ways of learning, or these learning experiences, are probably best understood as results of taking part of a community of practice,26) Wenger, Communities of Practice: Learning, Meaning and Identity (Cambridge: Cambridge University Press, 1998). as being enculturated in a specific, professional orchestra culture, with its codes, procedures, musical and bodily actions, and, of course, spoken statements and feedback. The orchestra offers the students a range of tools for understanding orchestral playing and acting. The students are onto this themselves, when they underline the importance of being allowed a long-term placement programme in a specific orchestra. They get to know the desired ways of acting musically in this particular orchestra, while acknowledging that orchestras are not all the same. Their critique of the student orchestra is perhaps due to the lack of such a developed orchestra culture, with its extensive rehearsal hours and the perceived narrow focus on ‘just playing in time’. The learning that takes place, is in other words highly situated and contextual.27)Lave and Wenger, Situated Learning; Wittek, ‘Sosiokulturelle tilnærminger’, pp. 133–48. Based on the findings of this empirical study, professional work placement has the potential of playing a major part of HME Master’s programmes, as it has in other higher education settings. Interestingly, both contexts of practice described in this article are valued highly by the involved students, despite the many differences between the contexts. The Hammerfest context is characterized by high degrees of collaboration, reflection, responsibility and freedom, and by the number of unfamiliar musical challenges and tasks. The unfamiliar challenges and the high degree of responsibility and freedom creates a high-risk setting, which students handle through collaboration and reflection. The project seems to stimulate students to develop their understanding of the role and identity of the musician, the role of music in society, the relationship with audiences, and their confidence in facing an expanded array of musical tasks. The students seem to have learned a number of things they did not expect, and to have discovered aspects of musicianship of which they were not yet aware. In comparison, the Orchestra context is valued primarily for its relevance, in the sense of representing the very professional arena for which these particular students prepare. High-risk features, in particular high musical quality, high expectations and little room for failure, also characterize the context. The students therefore experience a great deal of responsibility, but less freedom. The students learn ways of performing, listening and acting in a professional setting, and this learning takes place because the students are included in a highly experienced community of practice. In sum, both forms of practice seem to complement on-campus teaching and learning in important ways. The Hammerfest context offers a collaborative, reflective and explorative practice setting in which students can experiment with different components of musicianship, and in which they are given freedom to falter. The orchestra students are given an entry into a professional, high-quality community of experienced musicians who can guide the students in developing high-quality orchestra musicianship. The fact that both contexts are found valuable and relevant makes it difficult to suggest that one context should be preferred to the other. This article has shed some light on the details of these differences, however, and on the details of the different foci, ways of learning and types of outcome in these forms of practice. In that respect, the Hammerfest project seems to meet the requirements of what is described as features of future musicianship the best.28)Bishop and Tröndle, ‘Tertiary Music Performance Education’; Gaunt and Westerlund, Collaborative Learning in Higher Music Education; Smilde, Musicians as Lifelong Learners; Smilde and Halldórsson, ‘New audiences and Innovatice Practice’. Still, the orchestra placement students are devoted to the idea of becoming orchestral musicians, and for these particular students the placement programme is of vital importance. The findings of this study suggest that instead of choosing between such forms of practice, higher music education institutions should find ways of including a range of professional practice settings precisely because of their differences. The findings underline the importance of learning in and through practice, and of the role of practice also when it comes to developing professional musicianship. At their best, these forms of practice have the potential of bringing dedicated people together in order to discuss, reflect on and develop the multifaceted reflective and craftsmanship dimensions of becoming a musician for the future. 1. ↑ Esther Bishop and Martin Tröndle, ‘Tertiary Music Performance Education: An Artistic Education for Life or an out-Dated Concept of Musicianship?’, Music & Practice 3 (2017), https://www.musicandpractice.org; Rineke Smilde, Musicians as Lifelong Learners: 32 Biographies (Delft: Eburon Academic, 2009). 2. ↑ Dawn Elizabeth Bennett, Understanding the Classical Music Profession the Past, the Present and Strategies for the Future (Farnham: Ashgate, 2008). 3. ↑ Bishop and Tröndle, ‘Tertiary Music Performance Education’. 4. ↑ Rineke Smilde and Sigurdor Halldórsson, ‘‘New Audiences and Innovative Practice’: An International Master’s Programme with Critical Reflection and Mentoring at the Heart of an Artistic Laboratory’, in Collaborative Learning in Higher Music Education, ed. by Helena Gaunt and Heidi Westerlund (Farnham: Ashgate, 2013). 5. ↑ See Helena Gaunt, ‘One-to-One Tuition in a Conservatoire: The Perceptions of Instrumental and Vocal Students’, Psychology of Music 38 (2010), pp. 178–208; Bjørg J. Bjøntegaard, ‘A Combination of One-to-One Teaching and Small Group Teaching in Music Education in Norway: A Good Model for Teaching?’, British Journal of Music Education 32 (2015), pp. 23–36; Ingrid Maria Hanken, ‘Peer Learning in Specialist Higher Music Education’, Arts and Humanities in Higher Education 15 (2016), pp. 364–75; Morten Carlsen, ‘De- and Relearning the Violin: A Short Reflection’, Arts and Humanities in Higher Education 15 (2016); Helena Gaunt, Andrea Creech, Marion Long and Susan Hallam, ‘Supporting Conservatoire Students Towards Professional Integration: One-to-One Tuition and the Potentional of Mentoring’, Music Education Research 14 (2012), pp. 25–43; Julius Pranevicius, ‘Rich Feedback and Assessment Environment in a Horn Studio: Practising Scales’, Arts and Humanities in Higher Education 15 (2016), www.artsandhumanities.org/journal/rich-feedback-and-assessment-environment-in-a-horn-studio-practising-scales/. 6. ↑ Donald J. Boyd, Pamela Grossman, Hamilton Lankford, Susanna Loeb and James Wyckoff, ‘Teacher Preparation and Student Achievement’, Education Evaluation and Policy Analysis 31 (2009), pp. 416–40; Suzanne M Wilson, Robert E. Floden and Joan Ferrini-Mundy, ‘Teacher Preparation Research: An Insider’s View from the Outside’, Journal of Teacher Education 53 (2002), pp. 190–204. 7. ↑ Harald Jørgensen, Research into Higher Music Education. An Overview from a Quality Improvement Perspective (Oslo: Novus Press, 2009). 8. ↑ See also Magnus Dahlberg, ‘Learning across Contexts: Music Performance Students’ Construction of Learning Trajectories’ (PhD diss., Norwegian Academy of Music, 2013). 9. ↑ Robert K. Yin, Case Study Research. 4th edn (London: SAGE, 2009). 10. ↑ Victoria Wibeck, Fokusgrupper: Om Fokuserade Gruppintervjuer Som Undersökningsmetod (Lund: Studentlitteratur, 2010). 11. ↑ David L. Morgan, Focus Groups as Qualitative Research. 2 edn (Thousand Oaks: Sage Publications, 1997). 12. ↑ See Lev S. Vygotsky, Mind and Society. The Development of Higher Psychological Processes (Cambridge, Mass. Harvard University Press, 1978). 13. ↑ Helena Gaunt and Heidi Westerlund, eds, Collaborative Learning in Higher Music Education (Farnham: Ashgate, 2013), p. 1. 14, 22. ↑ Vygotsky, Mind and Society. 15. ↑ Line Wittek, ‘Sosiokulturelle Tilnærminger Til Læring’, in Pedagogikk: En Grunnbok, ed. by Janick Heldal Stray and Line Wittek (Oslo: Cappelen Damm Akademisk, 2014), pp. 133–48. 16. ↑ Donald Schön, The Reflective Practitioner: How Professionals Think in Action (New York: Basic Books, 1984). 17. ↑ Pamela Grossman, Karen Hammerness and Morva McDonald, ‘Redefining Teaching, Re-Imaging Teacher Education’, Teachers and Teaching: Theory and Practice 15 (2009), pp. 273–89. 18. ↑ Pamela Grossman, Christa Compton, Danielle Igra, Matthew Ronfeldt, Emily Shahan and Peter Williamson, ‘Teaching Practice: A Cross-Professional Perspective’, Teachers College Record 111 (2009), pp. 2055–2100. 19. ↑ Yrjö Engeström, ‘Expansive Learning at Work: Toward an Activity Theoretical Reconceptualization’, Journal of Education and Work 14 (2001), pp. 133–56. 20. ↑ Bennett, Understanding the Classical Music Profession. 21. ↑ Grossman et al, ‘Teaching Practice’. 23. ↑ Grossman et al, ‘Redefining Teaching’, pp. 273–89. 24. ↑ Gaunt and Westerlund, Collaborative Learning in Higher Music Education. 25. ↑ Engeström, ‘Expansive Learning at Work’, p. 138. 26. ↑ Wenger, Communities of Practice: Learning, Meaning and Identity (Cambridge: Cambridge University Press, 1998). 27. ↑ Lave and Wenger, Situated Learning; Wittek, ‘Sosiokulturelle tilnærminger’, pp. 133–48. 28. ↑ Bishop and Tröndle, ‘Tertiary Music Performance Education’; Gaunt and Westerlund, Collaborative Learning in Higher Music Education; Smilde, Musicians as Lifelong Learners; Smilde and Halldórsson, ‘New audiences and Innovatice Practice’.